Bachata is a sultry, heart-pulsing dance step that originated in the Dominican Republic. The dance consists of three steps with a hip motion, as well as a Cuban hip movement, and a tap on the fourth beat. With a fairly rich yet recent history, Bachata does vary significantly from style to style and area to area. 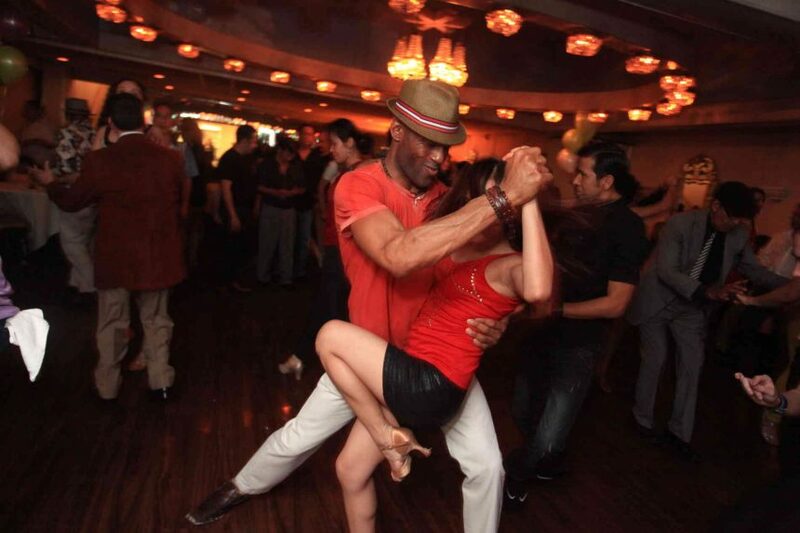 Bachata is a wonderful dance that focuses on fluidity of movement of the lower body. Although the upper body is not an area of focus, some do choose to move their arms and torso, but more for stylistic choices than the actual dance style. The mood of the music, the setting, and even the interpretation of the dance can shift the swaying and movements of the hips. Leading dancers have the choice of open or closed positions, and dancers use push and pull hand communication to ensure more fluid movement.